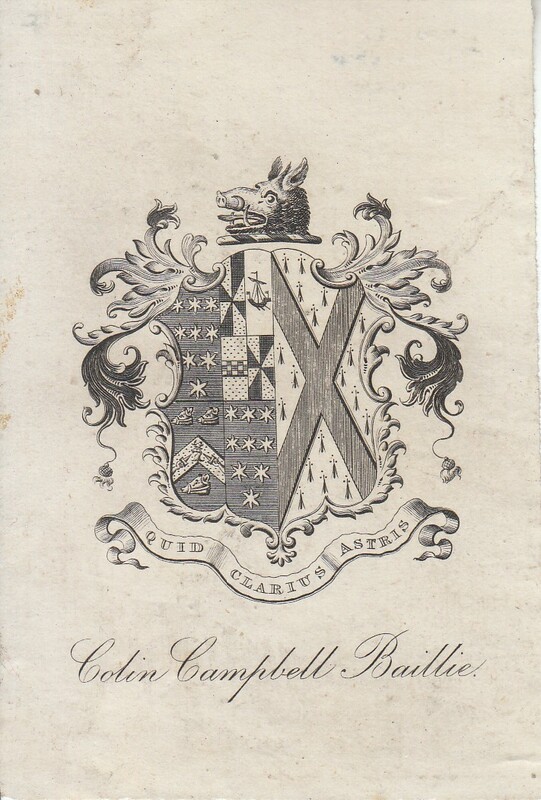 There is a bookplate for Colin Campbell Baillie on Sale at eBay by vendor prexiepost. The vendor is unsure of the identity of Colin Campbell Baillie. 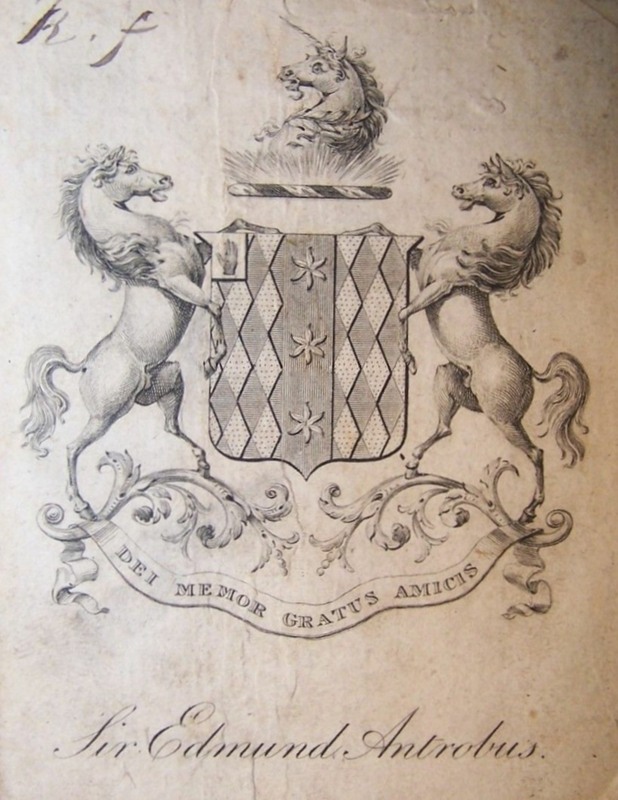 I have had a look at this and my results are that he was the son of Hugh James Baillie and Joyce/Jessie Mills, the grandson of James Baillie and Colin(a) Campbell and the great grandson of Colin Campbell of Glenure and Janet Mackay of Bighouse. He was born in 1818 and in 1856 married Anne Catherine Strickland (nee Fitzgerald), a widow. 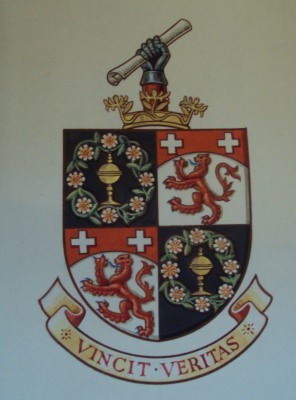 He died, without issue, on the 16th March 1889 at Glenure House, Charlton Kings near Cheltenham. 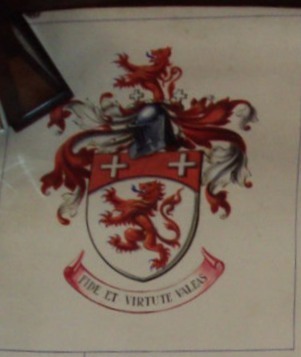 Crest: A boar’s head couped proper. 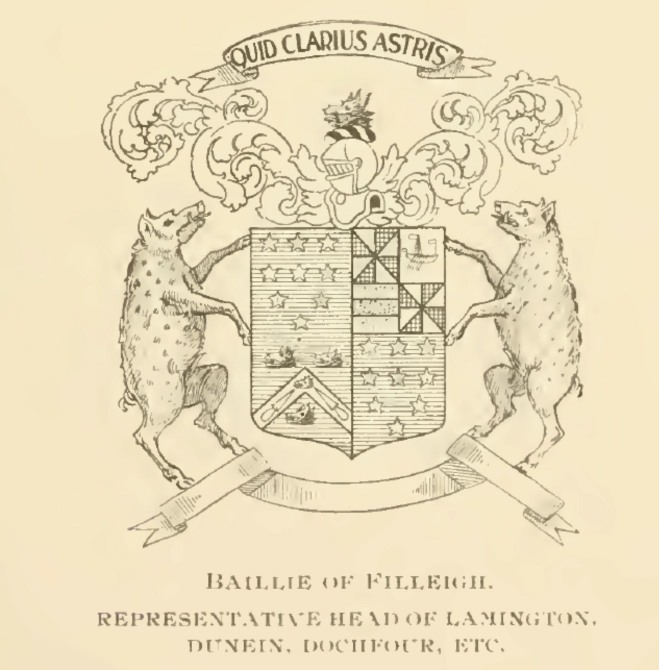 A version of the Arms are displayed in the 1898 book “A History and Genealogy of the family of Baillie of Dunain, Dochfour and Lamington”, where in the bears’ heads are now boars as well differences with the chevron. However, the latter might need to be taken with a bit of salt when it comes to accuracy. 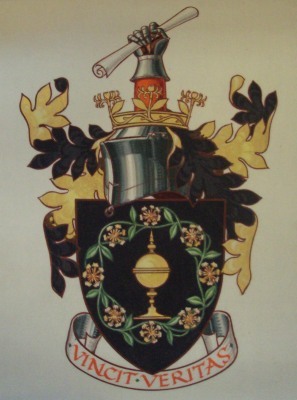 I would welcome any other insights into these Arms.